Have you ever faced a challenge in your life that you just couldn’t seem to break free from and move forward? Maybe you’re even facing a challenging circumstance, situation or condition at this very moment. This piece of wisdom is entirely true! Every challenging situation you or I may ever face truly does have a silver lining attached to it, even if we can’t see it right away. The secret to seeing the benefit within every struggle is to shift our mindset about the challenge we perceive that we are facing. You see, as humans, our minds constantly monitor the events that occur in our lives and interpret the meaning of events. Our mindset is what dictates how we perceive these situations and how we react to them. 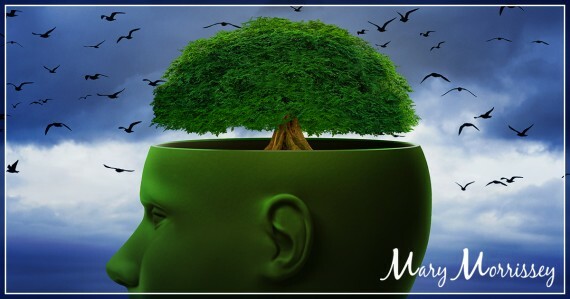 People either have a “growth mindset” or they have a “fixed mindset.” These ideas are based on the research findings of renowned Stanford University psychologist Carol Dweck, who has spent decades researching achievement and success. 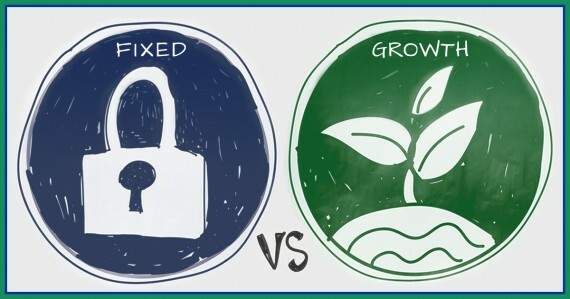 But, what exactly is a growth mindset vs. a fixed mindset, and what do they mean for those of us who are determined to rise to our highest potential? According to Dweck, in a fixed mindset, people believe their basic qualities, like their intelligence or talent, are simply innate gifts that can’t be developed. They also believe that talent alone creates success – without effort. In a growth mindset, people believe that their talents can be developed through dedication and hard work. This view creates a love of learning and a resilience that is essential for great accomplishment. Virtually all successful people have had these qualities. Science has shown that those with a growth mindset tend to achieve more than those with a more fixed mindset. The problem is that when you feel stuck or challenged, it can be easy to adopt a fixed mindset, which leads to experiencing feelings such as fear, worry, doubt, anger or resignation. This is perfectly natural, but in truth, moving away from a fixed mindset is the key to getting unstuck, moving on and unlocking new and better opportunities for yourself and your life! Why is your mindset so important? Every one of us will have what we perceive to be “problems” in our lives, because problems are just a natural part of the human experience. From a very young age, most of us have been trained to believe that when we have a problem, we need to really think deeply about it. But when we do this, we can actually obsess about the problem until we become trapped on the same “frequency” as that problem. In other words, the longer we think about a problem, the harder it is to “tune” our mindset to a frequency of growth. Just as you would tune a radio to the right station, shifting your mindset requires that you tune your thoughts and intentions to the frequency that’s in harmony with what it is that you want or desire. In order to actually solve a problem, it’s important to adopt a growth mindset – that is, to think past the problem and tune to the frequency of solutions, greater opportunities and growth. This is where the answers are. Einstein reminds us that if a clear and easy solution to whatever problem you face is not apparent, you need to change the frequency of your thinking. Doing this opens up the door to finding new, more empowering solutions to the challenges you face. For example: Let’s say that you’ve just had an argument with your significant other. As you sit and think about the argument after the fact, you feel misunderstood, wronged and perhaps even resentful. You continue to focus on these feelings, and you just can’t seem to think of how to resolve the issue, and restore the love and connection between you and the one you love. In order to begin to generate solutions to any problem, it’s crucial that you begin to switch to a growth mindset (or frequency). How would I love my relationship with my significant other to be? What kind of relationship are the two of us committed to having? What can I do right now to move closer to that result? What about your significant other can you be grateful for in this moment? Ask yourself this question, and soon, you will begin to generate thoughts of things you can be grateful for. As you begin to swell with thoughts of gratitude, you may find yourself inspired to openly communicate something that you’re grateful for to your partner, which will immediately start to shift your connection to where you would love it to be. As Einstein shares, by looking at the problem from a different frequency or perspective, you can change your reality! What if that circumstance is there as a result of the words you’ve been choosing to use? The words we use have a powerful effect on the results we generate in our lives. For decades, I’ve been studying the art and science of success and transformation through a multitude of leadership philosophies. Through these experiences, I’ve become deeply familiar with the effect that our words have on our mindsets, results and overall fulfillment of life. The words we use on a regular, repeated basis – whether positive or negative, expansive or contractive – is the framework through which the energy of life that moves through us is pouring. The language we use to continuously describe events in our lives, the experiences we’re having, our conditions, and our circumstances eventually becomes accepted by our subconscious mind as the truth. The beliefs you hold may be holding you back. For example, if you consistently say, “I’m not a good writer,” it doesn’t matter if you actually have potential to be a great writer – you’re subconsciously telling yourself that you aren’t, and this has a HUGE effect on your mindset. The fact is, your words have the power to shape your thoughts, which shapes your mindset, which ultimately shapes your reality. Your words can either lead you to adopt a fixed mindset, therefore generating more struggle and lack, or they can help to develop your growth mindset, creating greater, freer, fuller results and bringing you more abundance. In my experience, the only way to reach success – to become your best self and accomplish your dreams – is to embrace a growth mindset. By embracing a growth mindset, you’re able to more easily take consistent, sustainable action, which will inevitably lead to the results that you’d love. 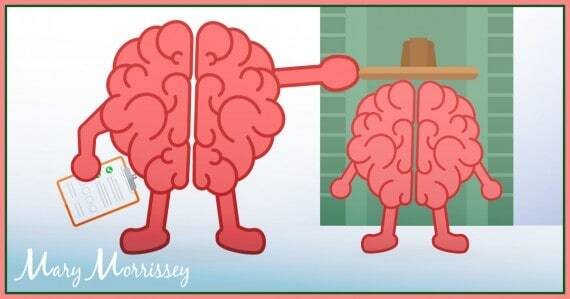 Those with a growth mindset tend to see challenges as a natural part of the learning process. They work harder and smarter, helping them to learn and achieve more than those with a fixed mindset. Fixed mindset: running late to work might just ruin their whole day. They may feel angry with themselves or look for someone or something else to blame. Growth mindset: more likely to think about the root cause of why they’re running late and think about how to avoid it next time. They may conclude that they need to go to bed earlier, or set their alarm a little bit louder. The point is, the person with a growth mindset will think about ways to fix the problem because they believe it’s possible. How John Boggs’ daughter went from losing local golf matches to competing in global championships using growth mindset. Let’s say a child received an A on his math test. Fixed mindset: may convince themselves that there’s no point in putting all that much effort into something that just isn’t one of their strengths. As you can see from these examples, adopting a growth mindset will lead you to new skills, new knowledge, and new areas of expertise; while adopting a fixed mindset will leave you about where you started – with little skill in the task at hand and little confidence in your abilities. Hopefully by now, you can see how valuable it is to adopt a growth mindset. Another mindset that’s instrumental to your success is an abundance mindset, which is the opposite of a scarcity mindset, which I’ll explain a little later. In fact, embodying a growth mindset while coming from a place of scarcity would actually defeat the purpose all together. Embracing an abundance mindset means you believe that the Universe is working with you and is full of infinite possibilities. A scarcity mindset is when you believe that your life is somehow incomplete or lacking in certain areas. Living with a scarcity mindset can thoroughly impair your ability to attract abundance into your thoughts and, ultimately, into your life. This type of mindset can be especially detrimental to romantic relationships because it can either lead to a feeling of constant dissatisfaction with a current partner or over-excitement towards a prospective partner. I know this to be true because of what a dirty sock on the floor almost did to my happy relationship with my husband! For example, imagine what it feels like when you first meet someone you’re attracted to, who meets all the criteria you have in an ideal partner, and you’re suddenly overcome with excited energy. It’s a normal reaction and we’ve all been there, but it can actually have negative consequences. The only time we get excited is when we’re reacting to something that we don’t currently have in our lives. And since we naturally attract that which is on the same frequency as our own, if we’re in a frequency of “not having,” then we will continue to attract more not having, or “scarcity,” into our lives. Now, let’s apply this to the example above. If the person you’re excited to meet senses your scarcity mindset, they might perceive it as a sign of desperation, and this can unfortunately turn them off from wanting to get to know you more. A much better frequency to come from is one in which you’re grateful for all that you have and are, and therefore expect wonderful things to come your way. After all, gratitude is the frequency that’s harmonious with abundance. Approaching life from a mindset of gratitude just attracts more and more “having” of what you would truly love in your life. Coming from this place will bring forth a much greater experience for both you and the people in your life. Now that you know that the only thing standing between you and the results you would truly love is your mindset, you have the power to change your mindset and create the success you desire. Success doesn’t just magically occur for select, charmed individuals – everyone has the ability to succeed if they adopt a growth mindset and let go of limiting beliefs about success that create blocks between themselves and the results they want. Here are three of the most common behaviors I’ve seen of people whose mindset is the only thing standing in their way of success. 1. You mourn your failures but forget to celebrate your victories. So many of us see failure as a negative element in our daily lives. We spend a great deal of energy hiding what we perceive as our “failures” from those around us. We don’t want others to know that we’re not perfect! It’s common to think you have to complete an entire goal or have some major breakthroughs before you can celebrate any sort of progress. But when you consistently give yourself a pat on the back for accomplishing the little things, you subconsciously tell your brain to continue going after your goal. 2. You constantly focus on what’s wrong. Einstein knew that problem solving relied on a shift in thinking, and you always have the power to shift your thinking. But in order to do this, you first have to become clear on what you’re thinking about your challenge. Begin to contemplate the kind of thoughts you’ve been having about the challenge you’re facing. I invite you to write these thoughts down, without judgement. Whatever you’re thinking, it’s okay! Just notice the thoughts and write them down. The key to seeing the possible good in the challenge you’re facing is to stay open and curious – this is how opportunities present themselves to you! Then stay open and write down the answers that come to you. Once you have identified at least one good thing that could come from the challenge you’re facing (and there may be many! 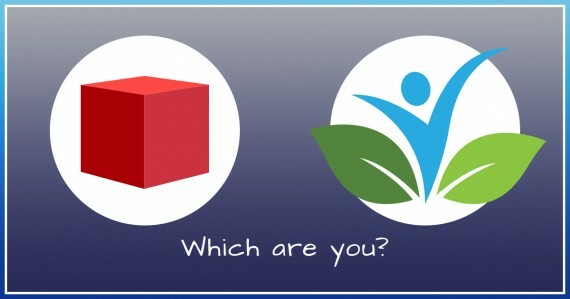 ), make a short list of action steps for putting that learning or growth opportunity into action. However big or small the steps, make sure they are ones that you can actually move forward with. By asking and answering these questions, you’ll be well on your way to transforming your challenge into an opportunity for greater growth! 3. You think about what you “have to” do instead of what you “get to” do. As mentioned earlier in this article, the words you choose are important in shaping your reality. Your words reinforce either an expansive or contractive perspective. They subtly echo the story you tell yourself every single day… a story that after a while becomes what you tend to believe. Many times it’s the simple words – the words or phrases you don’t even realize you’re saying – that can have such an impact. “Have to” implies obligation or requirement. In most cases it feels constrictive. “Get to” implies a sense of gratitude and appreciation. It’s expansive. It’s a simple shift of perspective, but it can mean a lot over time as you subtly train your brain to respond from of a place of gratitude versus an obligatory requirement. The truth is, there’s not much in life that we HAVE to do but there is a lot in life that we GET to do. You GET to go to work and earn money to pay for whatever it is you spend money on. You GET to go to a meeting because you’re healthy and well. You GET to pay your bills because you live in a developed country with modern amenities. Life is a gift – a gift that is much more enjoyable when we choose to see it that way. So, go ahead… make the choice to replace “have to” with “get to” and see how your perspective begins to change! Successful people know how to get motivated, are able to persist despite stress, pain and other challenges that come with following their dreams. How do they do it? You guessed it: mindset. To be successful, you must have a growth mindset – a mindset that sees challenges as opportunities for growth and expansion. While it may not be completely natural at first, anyone can begin to adopt a growth mindset, and create a meaningful and fulfilling life by taking consistent action. You can make the decision to start living a life of healthy growth today, as you begin to expand your awareness and notice any fixed mindset and/or scarcity mentality that might arise. Using the above-mentioned action steps, you’ll be well on your way toward success. 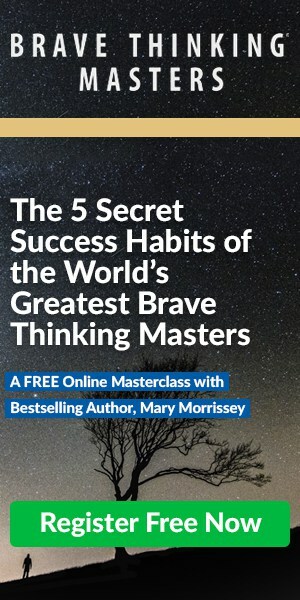 Would you love to become a master at achieving more with less effort, and allowing success to be simple, easy and fun? If you truly desire to achieve new, extraordinary results, research shows you need a consistent program of study with an experienced mentor, over a sustained period of time. 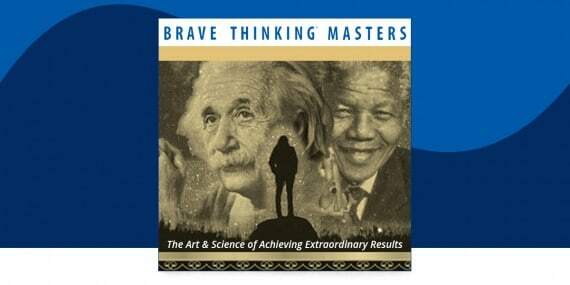 In my BRAVE THINKING® Masters Program, you’ll learn to think bravely, act boldly and accomplish brilliantly in every aspect of your life. Join a movement of like-minded BRAVE THINKING® Masters worldwide. How YOU can use these same 5 techniques to generate thoughts that other human beings don’t normally think — so you can cut through fear like a hot knife through butter, and take all areas of your life to the next level. 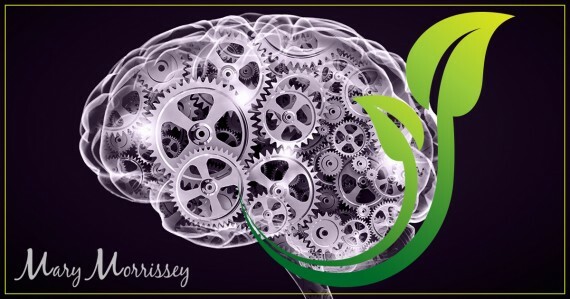 Register now for a highly calibrated, one-hour workshop led by Mary Morrissey!